The Epsom Branch of Guide Dogs for the Blind was one of the charities chosen to be The Ashley Centre’s charities of the year 2017 and are delighted that their fundraising has raised enough to sponsor not one but two Guide Dog puppies! 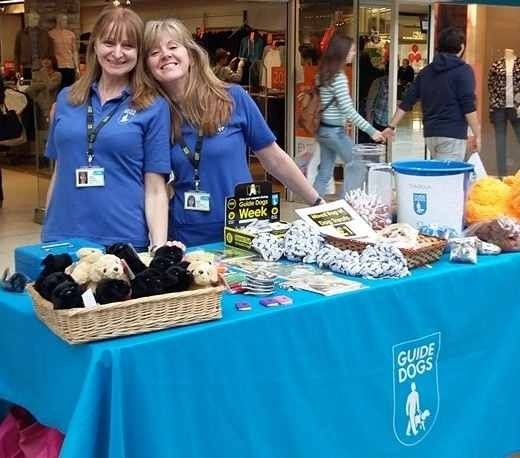 The Ashley Centre pledged to support the charity to raise enough money to sponsor a puppy but thanks to the generosity of shoppers the collections, tombolas, activities and information stands held in the Centre each month they raised an incredible £11,564.93! The funding will enable these puppies to start their journey to become a life-changing companion for an adult or child with sight loss. The other charity supported by The Ashley Centre this year is The Sunnybank Trust and their hugely popular gift wrapping service in the Centre in the run up to Christmas raised nearly £3,000 which will go a long way to fund essential services.